Wait . You can make cheesecake in that thing?? You sold me. We love the rice too! I make rice often too. So far I’ve successfully tried rice – both brown and white and I’m VERY pleased to be able to replace my worn-out and too-small electric rice cooker. Oh, and I wish I had the 8 quart! Smart purchase. 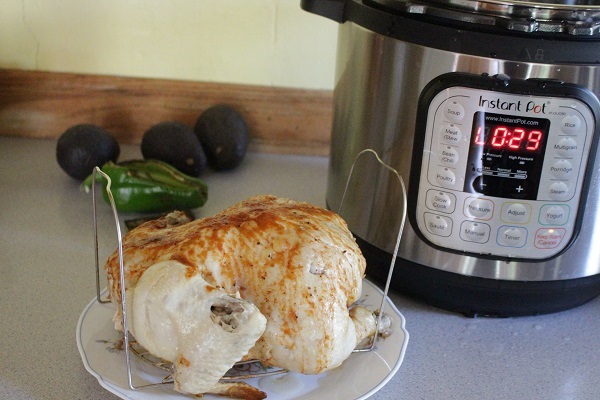 I have had my instant pot for almost two years. I have two. I bought one on Black Friday in 2015 and one on Prime day in 2016. I use it at least once a week. Sometimes I have both going at once. 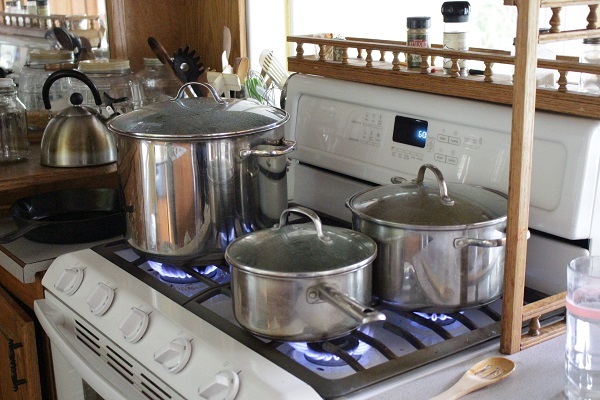 That is usually when I am cooking rice in one and the main dish in another. My favorite food in it is boneless skinless chicken breast. I love salsa verde chicken and white chicken chili. 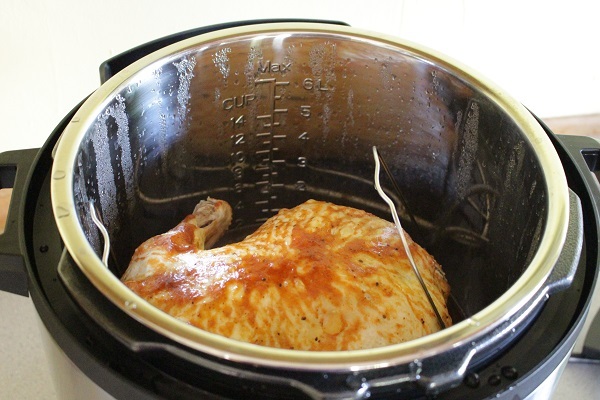 I had joined a facebook group for the Instant Pot and found lots of recipes. I mostly stick to my tried and true recipes because I rarely plan ahead and I need to throw things together quickly. I try to keep the basics in my house at all times so I always have something to make for dinner in a pinch. It really is a useful appliance. I also buy rotisserie chicken at Costco. Once I have picked it clean I put it in a bag in the freezer. When I get two I put them in the pot and make bone broth. Chicken soup is usually on the menu. Have fun playing with your new toy. I just made pot roast again tonight. I’ve been using it nearly every week for something. It makes the best ham and bean soup I’ve had since my mother made it in her stove top pressure cooker years ago. I’ve been adapting everything I can that we would normally never make in warm weather because we don’t like to use the oven when it’s hot…like my mother-in-law’s goulash and baked pork chops. I have had my IP since last year and it is one of the few appliances I have that is worth getting excited about! We have chickens, and the IP steams fresh laid chickens eggs perfect. It will thaw and cook a frozen chicken in just over an hour. It makes rice faster and better than a rice steamer. I pasturize raw milk and then make yogurt in mine in 4 pint jars – comes out better than any I’ve made before! Cooks root veggies great, carrots, potatoes, etc. I used to even steam little canning jars with different types of baby food in them. I too skip using it for greens, because my default cook is to forget stuff in it for anywhere from 5 to 45 minutes, and that just makes mush. 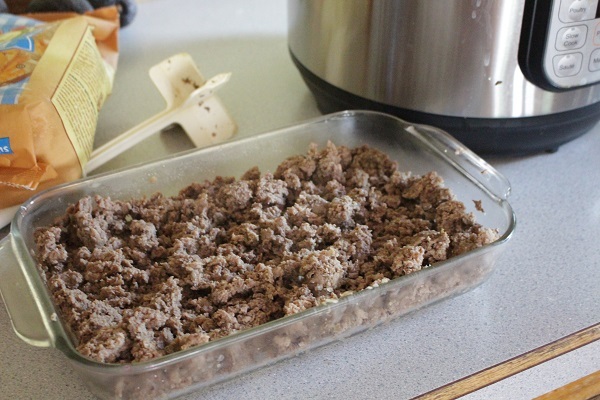 I occasionally use it for one pot casserole type dishes, but same thing, sometimes stuff gets too mushy, but can work in a pinch! We eat a lot of black beans at our house, so I normally make a pot of those at least once a week. 1 lb black beans, 6.5-7 c water, quartered onion. high pressure for 23 minutes, sealed. Add salt after beans are cooked (1.5 T or so). 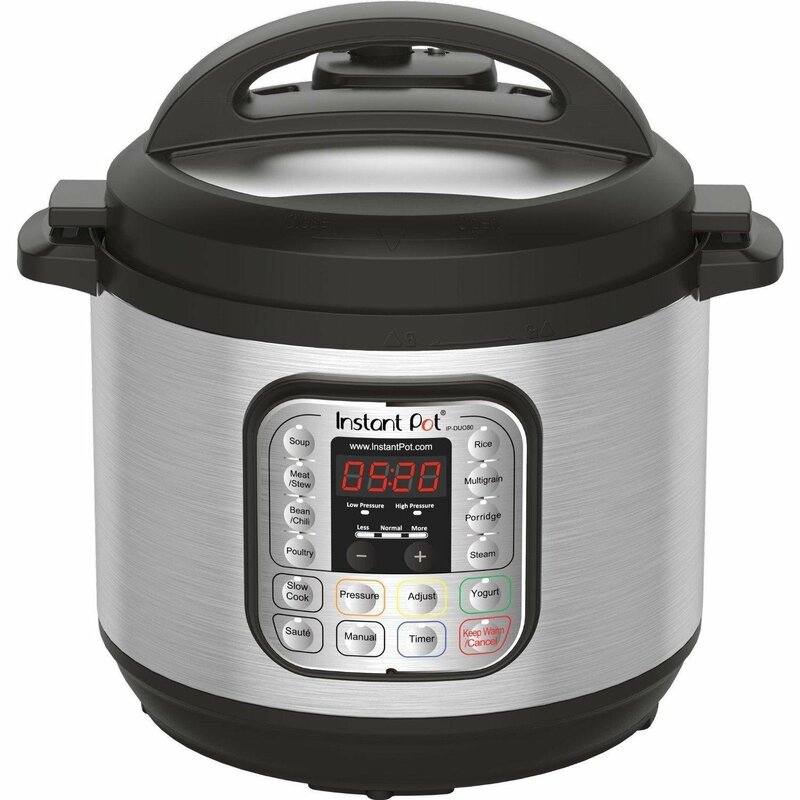 OK, after your adventures with it and seeing the comments, I’m putting an Instant Pot on my needs list. I love my InstaPot. Here are a few of my favorite recipes so far…. That’s it. I’m getting one! I have 7 in my family, and three of the kids are adult-sized teenagers. What size should I get? I make a black bean, chicken, and chicken sausage creole style dinner that we love. Rinsed dried black beans, frozen chicken breasts, sliced sausages,chicken stock or water with bouillion, smoked paprika, some salt, pepper, garlic, frozen bell peppers, onions ( sometimes without the last two). Ready in well under an hour. I would love for you to convert your Easy Italian Pasta Bake to the Instant Pot… My initial reaction would be to brown the meat, dump in the rest of the ingredients (not the cheese) and high pressure for 5 min, NPR 5-7 min, then put the cheese on top while getting out the rest of dinner? Another comment – I make yogurt in 4 oz mason jars, 1-2 times per week. I’ve got the *hands-on* process down to about 45-50 min (not all of that is actually hands-on) and have yogurt 8-10 hrs later (overnight or all day). I also make hard-boiled eggs usually once per week. I was doing more in my IP but my kids aren’t big on soups, and it was too much time on my BAD feet to debone a whole chicken. I do need to make beef-bone-broth again, but my local source for bones is gone, so I’m seeking another source.